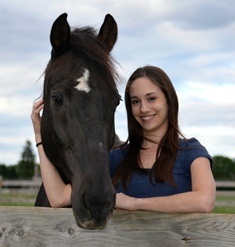 A PCA&D degree, volunteer work at a children's equine therapy program, a successful Kickstarter Campaign, and one special horse have aligned to give recent alumnus Rachel Tress, Illustration ‘2015, an opportunity to work closely with an author to illustrate a children’s book, Wynder, A Tale of Restored Joy. The children's picture book about Wynder is a true story about an unwanted horse connecting with a hurting child, both discovering acceptance and joy. Green Meadow Farm provides free tailored horse lessons to help emotionally hurting children and young adults heal through the use of horses and farm life. "The process of working with the author on this book, while ongoing, has been a lot of fun. Because I have been working with the author in several capacities for a few years now, I know where I stand when it comes to creating for her. She has been wonderful, with basically giving me free rein, especially in letting my voice show through. This has been particularly with my love of adding humor to children’s illustrations. One of the difficulties of the process has been creating the mood for the story with the illustrations in order to support the mood of the words. The story itself is very sentimental, sweet, and encouraging. Honestly, it’s a bit of a tear jerker. However, while staying true to that mood is important, I plan on adding fun things for children to enjoy. Such as a small animal character that “hides” on every page, giving animal characters life with humorous expressions, and varying perspectives and angles to create interest. I plan on keeping the author involved almost every step of the way, because this story has been a labor of love from both of us from the beginning. I have been working as an unofficial proof-reader and editor throughout her writing process. We have been working together to ensure that the story flows from page to page well and is giving just enough information to tell the story, and allowing room for the illustrations to speak as well. I plan on consistently asking for opinions from fellow artists and mentors to ensure that my first endeavor into the publishing world, though self-published, will be as professional a product as we can produce. The education I acquired during my years at PCA&D will be extremely beneficial as I had the opportunity to create two full book dummies for classes already. All of the instruction will be invaluable to me in preparation for this awesome adventure! 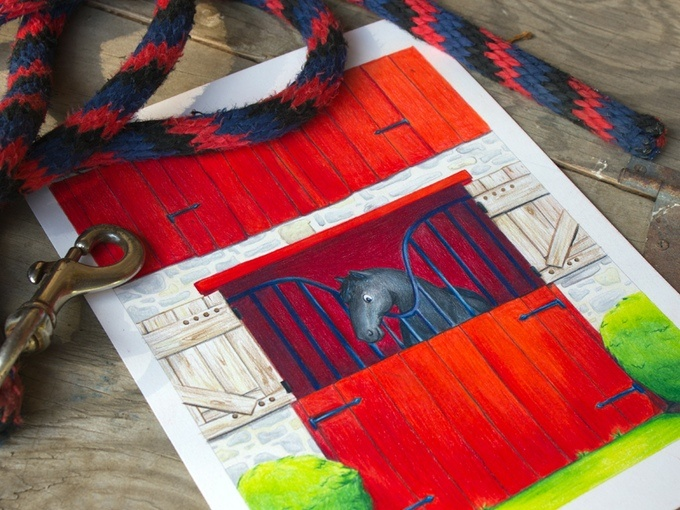 The Kickstarter campaign, which reached and surpassed both its goal and stretch goal this month, will cover the costs of illustrating and self-publishing the children’s book by Beckie Thomposon, also the owner of Green Meadow Farm, Leola, where the equine therapy program is located. The book is expected to be available in nine months. During that time, Rachel will be busy illustrating and refining the book, bringing to life the horse and child of this endearing tale, getting the artwork ready for printing. Strong thinkers. Strong makers. Strong Comunicators. PCA&D graduates are successful creators, designers, thinkers, makers and communicators, building their careers in art upon their professional experiences and industry contacts from their time as students. Rachel's new endeavor is an example of how PCA&D alumni use their skills and education in their life in art. See more of Rachel’s illustrations at www.racheltress.com or on Facebook. Learn more about the book Wynder, A Tale of Restored Joy and the Kickstarter Project at https://www.kickstarter.com/projects/2091589504/wynder-a-tale-of-restored-joy.